You probably know someone that plays Pokemon Go. Over the summer, the game became somewhat of a pop phenomenon, and it has been downloaded over 100 million times according to Engadget. The game hit the market as many pundits had begun predicting the "death of the app." This summer's biggest hit game proved them wrong, though. The app isn't dead. In addition to the implications on mobile app developers and digital strategy in general, the app has some interesting messages for marketers and digital marketers as well. Through an ever-growing combination of tactics and techniques, Niantic (the company that makes Pokemon Go) has guaranteed themselves a good connection with the audience for some time. Pokemon Go costs nothing to download. You can go get your phone right now and download it for free. I've talked before about using freebies to lure in your customers (Scott Sigler does it), but in this instance, there aren't required upgrades. You can actually download the game for free and play the full-featured version. If you are developing a marketing strategy for your business, you might not be able to give away the entire product. But you might be able to look at what you could give away to hook potential customers before you ask them for their money. Niantic has proven that model out among others, and it is worth investigating how that might apply across various business models with a variety of products. Pokemon did not magically appear this summer. In fact, the franchise was created back in 1995. So over the past 21 years, it has developed quite a varied following, finding some adults in 2016 nostalgic for the cartoon they watched as kids and kids in 2016 just as excited as ever. This large existing fan base provided a huge opportunity for the marketing of Pokemon Go, as every one of these individuals with a phone could potentially be a customer. Businesses with existing bases of support often overlook those loyalists in favor of obtaining new customers, but with the right pitch, you can capitalize on the faithfulness of your true followers and sell to them again and again. The opportunity has to be new and different enough that it provides a new value to them and does not ask for more money for the same product they have already purchased, but repeat sales can catalyze huge growth in your business. Pokemon Go's placement of "Pokestops," or places where players can recharge and collect game items, created lots of location-specific tie-ins between the real world and the game. This sparked businesses with the good fortune of being selected as a virtual game destination to capitalize and offer specials for players of the game, as well as host special events centered around the game. This marketing formed a win-win between the local business and the game itself, as more people were encouraged to play and check it out. As you look to launch new products or even market your existing products, consider how you might be able to create cooperative opportunities with other businesses to cross-promote products in a genuine and mutually beneficial way. Are there products that complement yours? Could you tie discounts together with others when purchased as a set? Figure out how you can take advantage of another business's client base and share truly good offers with your own, and you can expand the reach of any of your marketing efforts. Pokemon Go is free. 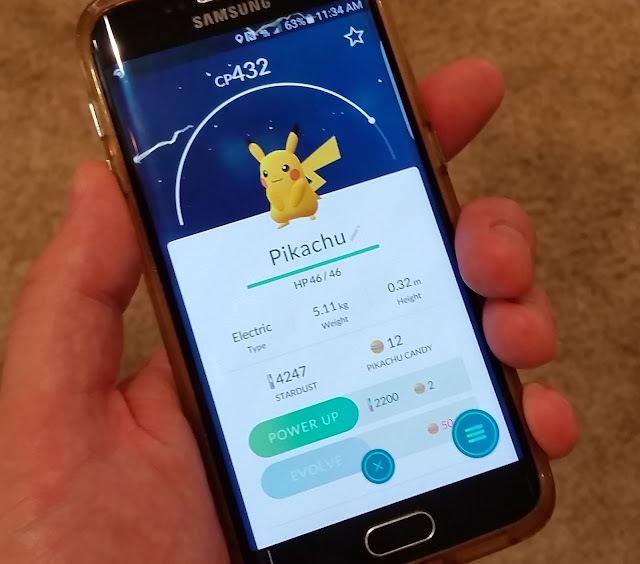 But in the game, players can get some items faster by buying them in bulk instead of visiting hundreds of Pokestops. 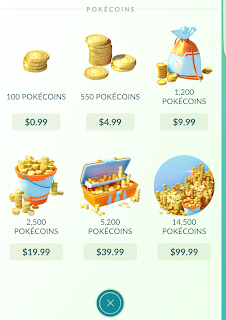 The game makes it easy (and inexpensive) to purchase a small increment of game coins, starting at $0.99 and ranging up to $99.99. While some might want to continue to play the game for free, most would look at a few dollars as a relatively low investment to enhance the game. The low price point allows those same players to make the low dollar purchases time and again, creating an ongoing revenue stream for the product as opposed to a one-time buy. This strategy can be used to set price points on a variety of other products, particularly if there is a way to generate smaller, repeat purchases as opposed to a single large buy. This can generate a more constant revenue stream with better longevity than a few instant-hit purchases. In addition to just price, setting up products either in graduating packages or in smaller pieces allows lower commitment to entry, gaining new customers, as well as repeat business to create that ongoing stream of revenue. Pokemon Go's premise, if you don't know, is to allow players to collect various Pokemon (little monster creatures) and then use them to battle other players. Anyone can download the game and catch various Pokemon, but the game creators limited some creatures to certain geographical areas. In addition, they made certain creatures appear less frequently than others. The result? Players who have rare Pokemon get a feeling of exclusivity, like they are part of an elite club. Others want to join that club, so the only answer to them is to keep playing. The lesson for other businesses? Create a VIP element to your product or service. Create the ability for your customers to get to some elite status through repeat purchases or continued contacts throughout your sales funnel. Everyone should be able to attain VIP status, but it should require substantial commitment to your business in some way (think airline mileage programs). Finally, Pokemon Go is fun. Fun for adults. Fun for kids. Fun for just about anyone in between. And deceptively simple. Niantic did a great job of capturing the spirit of the franchise and create a fun game that people want to be a part of. In your business, look for the enjoyment in what you do. Create a fun environment for your employees, coworkers, and especially customers. When you enjoy work, others will notice. Through a combination of tactics, Pokemon Go spent the summer becoming a viral worldwide phenomenon. Your marketing efforts can borrow or steal elements of their success, whether combining low price points on distributed products, creating elite status for your customers, leveraging an embedded fan base, or seeking cooperative partnerships to cross-market products. The biggest key of all? Don't rely on a single marketing method. One size does not fit all when it comes to marketing. Creative combinations of various methods create a stickier product and better environment for creating ongoing revenue streams.